32 weeks, done and dusted. How crazy to think I only have 8 and a half weeks left.. give or take. 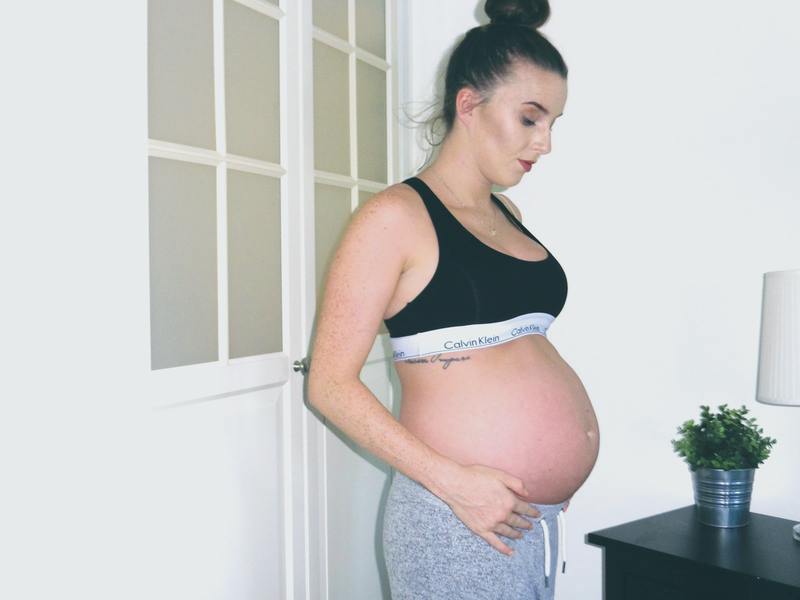 As far as updates go, I'm not really sure what else I have to update on, as far as pregnancy symptoms go, i'm still relatively unaffected (I do say this with a pinch of salt, I've no doubt jinxed myself and will end up with nausea up to my ears, swollen feet and cravings like no one's business). In the 6 weeks since my last update, I started light duties at my workplace, meaning I'm now confined to a desk for the time being, I've spent 10 days in Tenerife, and we've managed to get a fair amount of the basics ready for the arrival. In term's of the new job, I'm generally pretty uncomfortable throughout the day. There's a persistent dull ache in my ribs, which is probably just them stretching out to compensate, but sitting at an upright desk for 8 hours just mean's everything stiffens up a bit. I've been trying to make sure I go for a half hour walk or so every lunch time to get circulation moving and get some feeling back in my bum! Speaking of exercise, mines is all but non-existent right now. I plan on doing an entire post on this subject, but in short, it's not for lack of motivation. I love the gym, I really do, and there's nothing more I'd rather do than people to work out in the way I did before, but my work-out motivation comes solely from a superficial perspective, I do it to look good and to improve my physique, and I can't do that right now, which is ultimately frustrating. I also find it extremely embarrassing going to the gym at the minute, which is something I've not had in years. I previously found the weights room very daunting, and in the past two years I've really come to my own in there, no issue, but with a bump I can't help but feel the stares, and it's definitely a deterrent. My new plan is to return to Kayla Itsine's BBG program, which can be done at home, for the remainder of my pregnancy, so I'll keep everyone updated on that.